The artists perform the Whitney Houston classic as part of The Hotel Sessions. 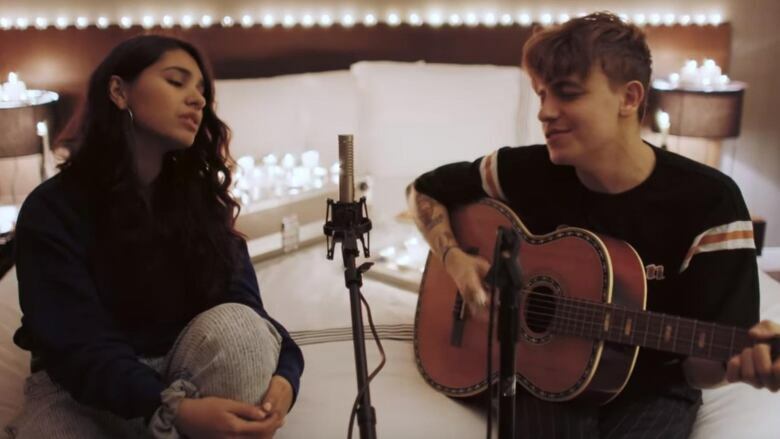 Toronto singer-songwriter Scott Helman has been recording a series called The Hotel Sessions whenever he's able to find time to collaborate with other artists, and today's release is a lovely tribute to a classic Whitney Houston song. Watch Helman and fellow Juno winner Alessia Cara trade verses on "I Wanna Dance With Somebody" in a candlelit hotel room, putting their own spin on a song that'll make you want to find that somebody ASAP.